I thought I was reviewing an Italian restaurant when I was first invited to visit Chef's Noodle. Funny thing about the place is that there's a take out branch right beside us but I never got to try it out nor took it seriously because I had the initial impression that it was just another run off the mill fast food place because that's what it replaced in the buidling. Turns out I was 100% wrong on both counts. 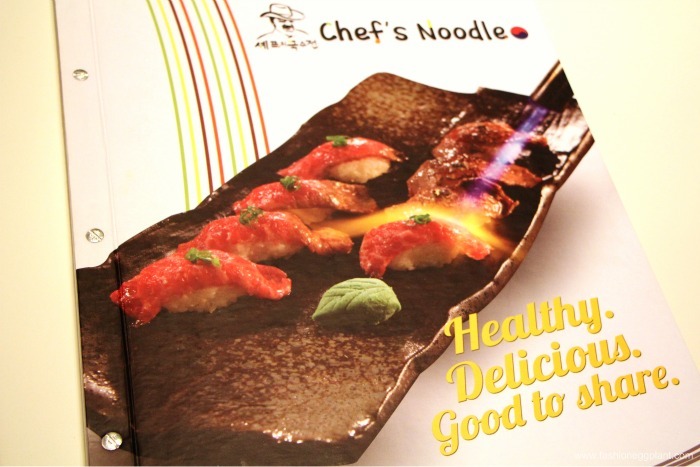 Chefs Noodle is actually a master franchise of the brand from South Korea with dishes formulated by award winning Korean Chef Choi In Sun. 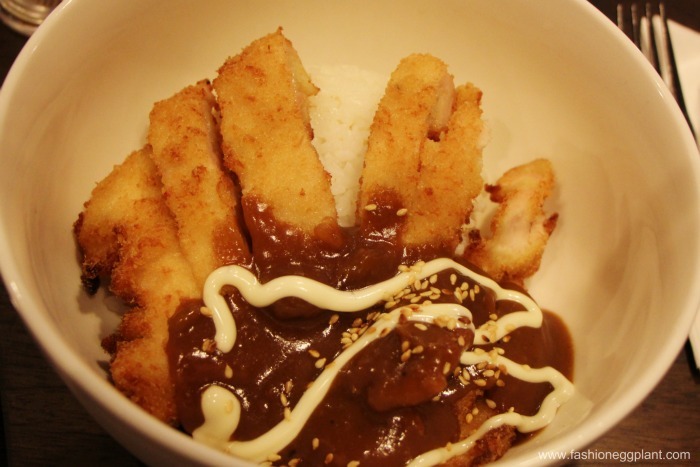 Chefs Noodle is a casual dining restaurant that serves up affordable and authentic Korean Food. A specialty of theirs and something I believe is unique to their restaurant is the Starking Fire Sushi. 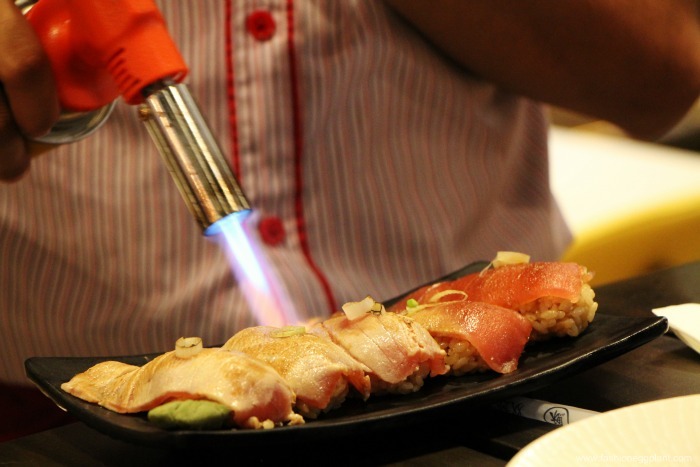 Unlike normal sushi which is served raw, Starking Fire Sushi receives a "torch treatment" at your table. 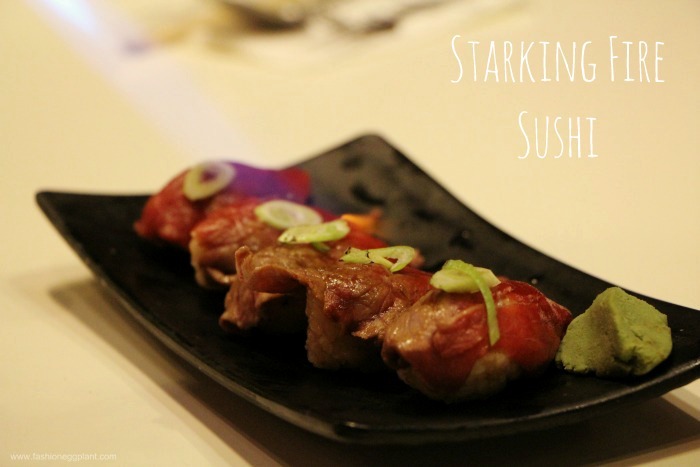 The result is sushi that has a deliciously grilled and glazed flavor on top and is finished with a crisp goodness that only fresh, raw food can deliver at the bottom. A must try. At only P160 per order, it is definitely worth every penny. My favorite is the shrimp although the tuna and beef is also good. Aside from that, I also got to sample their Bulgogi Kimbap sushi which is seaweed rice rolls with beef, leeks and topped with mayonnaise. One order is good for sharing and only costs P95. Another must-try during your first visit. Have your sushi with kimchi on the side. At Chefs Noodle, Kimchi is served free with unlimited servings. Yum! 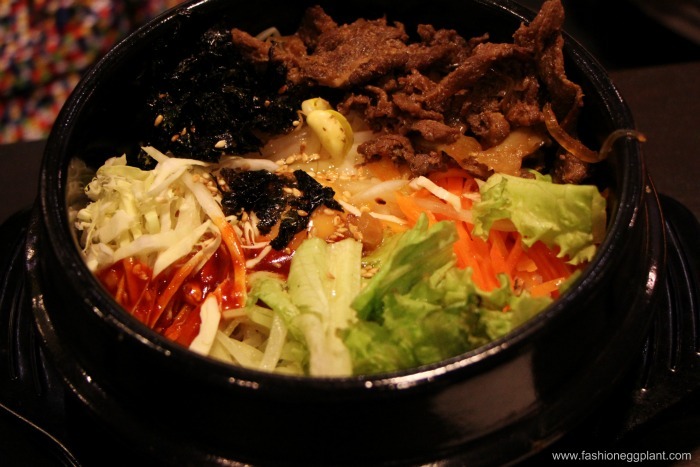 For our main dish, we decided to go with their Bibimbap in Beef and Pork. These are the most talked about dishes from Chefs Noodle. One bowl only costs P99 and comes with a glass of Iced Tea. They are surprisingly delicious for a "budget meal". 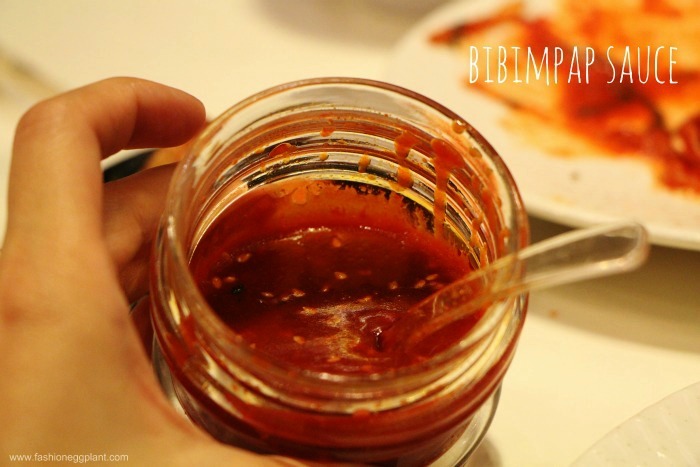 Just don't make the mistake of having it without a generous amount of bibimbap sauce. Without the sauce, it's kinda bland but with the right amount, it transforms this simple dish into something you'll be craving for even days after. 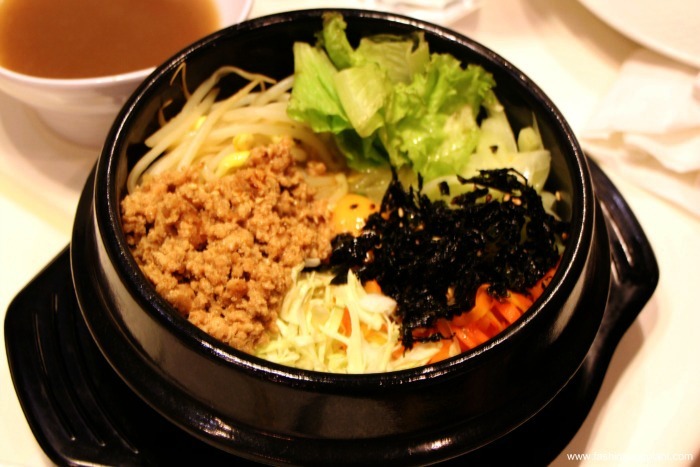 Their bibimbap sauce is out of this world and goes well with almost everything, even their signature dish which is aptly called Chef's Noodle. Chefs noodle is a combination of fresh Korean noodles in a beef and anchovy broth topped with leeks, bean sprouts, fried tofu, spring onions, red peppers, egg rolls and bulgogi. One large bowl like this only costs P150 and comes with unlimited broth refills. 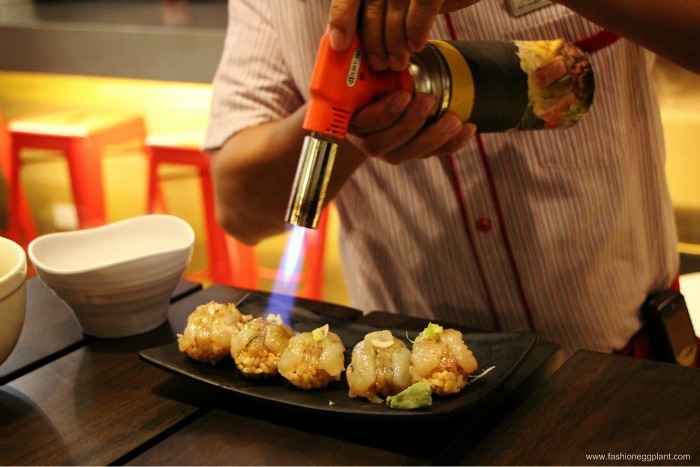 At Chefs Noodle, you can easily feed a family of 3 for under P500, appetizers and drinks included. It's one of my favorite restaurant discoveries this year. The perfect place to get my Korean food cravings satisfied without having to spend a small fortune.